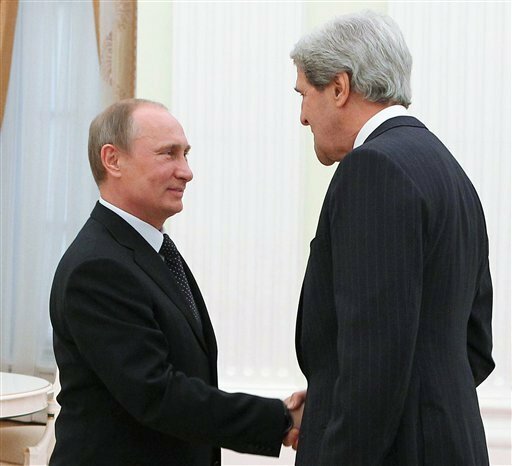 Secretary of State John Kerry has declined an offer of talks with Russian President Vladimir Putin until Moscow engages with US proposals to tackle the crisis in Ukraine. John Kerry told his Russian counterpart Sergei Lavrov that Moscow’s military intervention in Crimea had made any negotiations extremely difficult. US officials say there will be little to talk about if the referendum on Crimea’s future goes ahead. The referendum is to be held on Sunday. Ukraine and the Western countries say that the vote is illegal. Russia said on Monday it was drafting counter-proposals to a US plan for a negotiated solution to the crisis. Moscow has condemned Ukraine’s new Western-backed government as an unacceptable “fait accompli” – it says that Russian-leaning parts of the country have been turned into havens of lawlessness.